Cathryn: Hello and welcome to today’s webinar, “Closing the productivity gap. 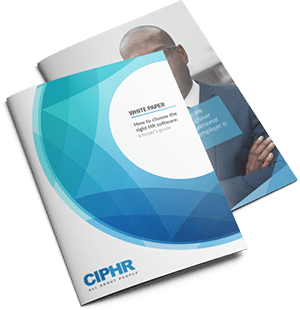 How to unlock employee productivity through better data.” If you don’t know CIPHR, we’re a leading UK developer of HR recruitment and learning software that helps organisations to attract, engage and retain their workforce’s more effectively. We’re proud to have HFX on board as one of our CIPHR Connect partners. Their workforce management software connects seamlessly with CIPHR offering a brilliant user experience and reducing the admin burden of setting up individual users in both systems. I’m Cathryn Newbery and I’m CIPHR’s content marketing editor. I’m joined today by Nick Whiteley, HFX CEO. Welcome, Nick, it’s great to have you with us today. Nick: Hi, there. Hello, everyone. Cathryn: Okay, first up, a little housekeeping. The webinar should last around 45 minutes with around 30 minutes from us and then time at the end to answer your questions. Do send in your questions, comments and queries using the box on screen at any time during the broadcast and we’ll do our best to answer them as quickly as we can. If you miss anything or have to leave the broadcast at any time, not to worry, everyone who is registered will receive a link shortly after this broadcast ends to an on-demand version you can watch at any time or share with your colleagues if you think they’ll be interested. Just onto a quick overview of our agenda, we’re going to look at the UK’s productivity puzzle and its causes, five areas that you need to focus on to close the productivity gap, five questions you need to answer to tackle productivity and three solutions that help measure and drive productivity and then into your question and answer at the end. Just to kick us off, we’re going to ask you to take part in our first poll. To what extent is productivity a problem for your organisation? You should see this poll with some options on your screen now, so choose the one that’s most relevant to you. Is it, “Not an option,” “You’re doing okay,” “It’s an area you need to focus on,” “It’s a significant issue for you,” or “You don’t know”? Nick, what do you expect would be the most common option there selected by our audience? Nick: I think that, in my view, probably the most common one is, “It’s an area we need to focus on,” because I think that for many organisations that they might be aware there’s an issue but they don’t know how significant that issue is. Cathryn: Okay, thanks, Nick. That’s great and ties really nicely with the results that I’ve seen come through. So 60% of our audience say that it is an area we need to focus on so that’s fantastic because you’re in the right place. We’re talking about productivity today. Worryingly, 20% of you say you don’t know how much of a problem this is for you. Again, great to have you with us, you’re in the right place because we’re gonna be looking at some of the measures that can help you understand that challenge a little bit better. Okay, we’re gonna dive into our presentation now and I’m just gonna hand it over to Nick. Nick: Okay, thank you for that. So I’m gonna dive straight by talking about the problem of productivity. In the UK, we measure that GDP per hour worked. If you look at the graph which shows the productivity, not just of the UK but against comparative economic blocs like the [inaudible 00:03:00] Union, OECD, G7, etc. What’s not surprising is that if you look at 2008 when we had the crash, productivity took a major hit. The big surprise is, though, that all the other comparative blocks actually made that recovery back on trend over the subsequent years, however, the UK has bucked the trend and is still lagging behind, has been lagging behind since 2009. If we go to the next slide, we can focus solely on to the UK. Here you can see just how significant the problem is. So you’ve got since 1994 onwards. You can see in the dotted lines, the trend that, if nothing had changed, where we should be as of 2008 and you can see the significant gap where effectively for the last decade that the UK has been flat-lining effectively on productivity. So called the “lost decade,” 20% less productivity than we should have this year. If we move on to the next slide, we can see a comparison between previous recessions and how the UK has done. So we’re trying to understand why we’re different from other similar economies recovering from a recession where we have so far completely failed to get back in terms of productivity. We look back into previous recessions just within the UK and we can see that in every other recession, within a two-year window, we’ve bounced back into the trend. So this time it’s very, very different from previous recessions as well as from other comparable economies. So this is the problem that we’re dealing with, a flat-lining of productivity throughout the UK for many years now. So we look at what that means for organisations like yourself on the next slide. So the impact of poor productivity within an organisation. Yes, it’s obviously loss of competitiveness and contracts, but that translates into reduced profits, reduced growth. Poor productivity means that you actually can’t afford to give staff increases in wages, which is why you get wage stagnation which we’ve seen for many years in the UK since 2008. And, of course, that ultimately impacts on not just recruiting talent but also retaining existing staff and talent because you can’t actually afford to actually keep them within the organisation. What we’ve seen from the previous graphs and statistics, this level of poor productivity is so significant that it isn’t a question that some organisations or some businesses have an issue with productivity, but to some extent and degree, most organisations are suffering from levels of poor productivity. So we’ll now sort of try and move to the next slide and give some concrete detail about how poor productivity emerges and in areas that it occurs. So we’re looking at, here, simplified results of a study on productivity by Weir and in effect, they analysed a number of colleagues and the time it took to complete the same task. What they found by analysing the data was that there was huge variances between those that completed the task in the quickest period and those who took significantly longer. So that variance was up to 250%. So in my little example there where Joe’s taking 60 minutes, other colleagues like Jack were taking 150 minutes. So that variance in itself is a classic example of poor productivity. Now, obviously, if you look at the quote from Ray suggesting actually that where an organisation doesn’t optimise, staff end up optimising in the sense that they maximise their amount of pay through the minimum amount of work that they actually have to [inaudible 00:07:40]. Of course, that’s just one reason. There are many, many reasons for poor productivity such as inadequate or poor training, cumbersome processes or inadequate tools. In fact, the underlying reasons for poor productivity can be myriad and not just between different organisations, but actually within the same organisation but across different staffing groups or different departments. The reasons can be very different. The point here, though, is that the only way to identify poor productivity is through measurement and the only way to be confident that you’ve solved the productivity issue is, again, through measurement. So measuring to identify it, measuring to ensure that you’ve actually solved that issue. So we’ll move on to some of the focus areas. So the main focus for the webinar today is to discuss areas around technology, planning and measurement, but it would be remiss if I did not cover off the other focus areas, management, skills and processes. So I’m gonna give a bit of a summary around those areas before we delve further into detail. So, obviously, when we’re talking about productivity, there are always external drags on productivity such as roads, rail, broadband infrastructure. So these are outside the control of the organisation and management in many cases, but most productivity issues are within the remit of the board and the management [inaudible 00:09:15]. The issue seems to be, in many cases, there is too much focus on maintaining the status quo rather than constantly striving to improve the efficiency of their area of responsibility. So it’s a question of management focus. Improvement should be considered a continuous activity, not a one-off project. So often you go into organisations and they may have a project in place, but it’s a, has a definitive start time, definitive end time, job is assumed done and then they move on to other things. The reality is that productivity improvements are continuous and they need to continue all the time because even once you’ve optimised one activity or one process, the business is moved on, the business has changed. And so, therefore, you need to constantly revisit that particular area, that particular process and part of that is monitoring what is actually going on within those activities. Another aspect which actually, if there’s anyone from the healthcare setting will be aware of called multidisciplinary team meetings. In effect, these are opportunities from people across different teams, different specialities [SP] who come together to share problems and together find what the solutions are. So, for instance, within the HFX, we’ll have an MDT and it might involve development project support hosting, all with different skill sets, different specialities, very specifically different perspectives and bringing the team together to solve a particular problem and gain those insights. Sometimes they’ll identify the other issues that you were not aware of or they’ll provide solutions that your department alone cannot solve because sometimes the issues go across teams, across departments, they don’t just [inaudible 00:11:19] right within one department. So that’s a classic thing of focus and bringing together collaborative skills across the board. Skills is a very common one that I think many organisations are already aware of but it’d be remiss not to mention the fact that in many areas, poor productivity is because they have not been trained. Investment has not been made to ensure that they’re working at optimal levels. This doesn’t just affect output, it also affects quality and, of course, poor quality translates into rework. Rework is unproductive time. So skill sets and not just, sort of, generic skills and generic training but very specific training within that particular department, what you might call orientation training, so that they know where everything is, they know where the tools are, etc., to do their job effectively. Processes is key. Processes should help an organisation be efficient. They shouldn’t get in the way of efficiency and productivity and where they get in the way of efficiency and productivity, they should be marked for immediate review. Outdated paper-based and unwieldy process that simply burdens staff and reduce their productive time have to be targeted, identified, reworked. If they can’t be eliminated, then they should be automated, and part of that is always looking at not just the processes but the tools. If you don’t give staff the right tools to do the job or the tools are outdated or inefficient, you are providing a drag. So sometimes it’s investing in those tools and those skills will improve productivity with the staff. A classic example, obviously, HFX, for instance, we’re able to improve the productivity of our development team by 10% simply by rolling out new, faster laptops so that they could compile and test their code so much quicker. So these things don’t have to be complicated. They don’t have to be time-consuming [SP]. Often, identifying the issue is the hardest part of the process. Once you’ve identified the issue, the solution often can be very quick and cost-effective. Moving on to technology. The ability for technology not just to automate processes but to transform them is no longer a vision but a reality for most high tech organisations. If you look at Amazon, for instance, and how they’ve applied technology to every aspect of what they do. The key, though, is that both process transformation and technology automation should be viewed as a single, inseparable goal and activity. If you automate an unwieldy manual process, you will improve productivity, but there are much bigger gains to be made if you combine the both and transform the process with the automation technology as well. We’ll move on to planning and measurement, again, technology plays a big part in this because it can not only improve the planning, but it can actually provide real-time measurement and tracking which will enable organizations to close the loop on productivity initiatives and implement continuous improvement easily and cost-effectively. What I mean by this is that you can not only plan more intelligently but, actually, you can then capture data that you can compare against the plan to see whether that plan needs improving, to see whether, actually, we achieved the plan or not. So there’s no point putting in a process. There’s no point putting in technology or plans or changes unless you can measure the efficacy of those because otherwise you’re working on assumptions. So moving on to some of the key questions that you need to ask yourself within an organisation if you’re really serious about productivity. So we’ll go to the next slide and have a look at these. Cathryn: Hold on a second, Nick. We actually have a poll to ask our audience here. So, obviously, Nick, you’ve just taken us through these five productivity areas that organisations need to focus on and now we want you to tell us which ones of those you do need to focus on yourselves. So the options, again, are management, skills, processes, technology, planning and measurement. And, Nick, do you have an instinct about which one would come out as the key area that people are concerned about? Nick: I think, sort of, I’m taking a guess here but I think often people go for processes rather than the other five. Cathryn: Okay, thank you. Thanks, everyone, for voting. Actually we’ve got a really even split across all the options here, obviously, because it was multiple choice and I think many of you might have selected the fact that you may need to focus on more than one area. So we have management just squeaking out on top with 50% if you are checking that option. Processes and planning and measurement each getting 47% of the vote. 40% of you saying that technology is an area you need to focus on and coming up last but not least is skills with a third of you saying that you need to focus on that. So it’s really interesting that all of these areas are coming up as things that you’re concerned about and that you’re needing to work on. Okay, so as Nick mentioned, we’re now going to start looking at some of the questions that you might need to answer to help you understand your organisation’s productivity better. Nick: So within an organisation focused on productivity, you’re looking how productive are my staff and what is getting in their way of productivity. Your staff are, often in most organisations, your biggest cost. So to be able to answer, “Where are my staff?” “What are they working on and for who?” “Are they actually working in alignment with business demand?” In other words, “Are they actually there when they’re needed and not there when they’re not needed?” and, “What changes must be made to align the staff roster to the business demand to avoid unnecessary downtime, overtime, unproductive time?” So those are key questions along with what is the overtime, the absence, the unproductive time, not just sort of last year but this month, this week, today so that you can actually have real-time information about what’s actually going on within the organisation. If you can’t answer these questions, it’s gonna be very, very hard for you to tackle and identify areas of un-productivity within your organisation. So a lot of productivity improvements start off with, “We think this or we think that,” but they’re actually not based on real data captured from what’s actually going on within the organisation. Some classic examples of that, when we implement, for instance, the time and attendance system, we often find there’s a huge disparity between perceived levels of absence which have been reported through manual reports to the management to work out the absence rate within the organisation. As soon as it’s being captured in real time, they suddenly realise, “Actually our absence levels are double what we thought they were.” So part of answering these questions is actually about being more scientific and more data-aware of what’s going on within the organisation. So we’ll put this into another key example which we found, again, in many organisations. So if we go to the next slide, I talked about shift patterns and aligning staff to business demand. It mainly affects shift based workers but to some extent also affects white-collar organisations as well. So to some extent has an impact across the board. Many organisations roster their staff based on an average or assumed workload rather than actually mapping staff patterns to actual business demand and this creates huge inefficiencies. So I simplified this graph for you today and if you see the thick black bar going across horizontally, typically, they’ll roster in a flat line across times of the day, days of the week, etc. But actually demand fluctuates and what you can see here is that on Monday, they actually need 22 people rather than 20. What that results in, of course, is under-rostering which is often refilled through overtime or agency staff. If they can’t do that, then sometimes that results in delays and loss of contracts, so often it’s filled by bringing in agency or overtime. We move to Tuesday and Wednesday when actually, the number of staff attending are actually above what’s actually required which results in unproductive dead time. And, again, Thursday and Friday, they have not met the needs of the business and through luck or plan, Saturday, you can see they’ve actually achieved the right number of staff and then they’re back into over-rostering on Monday. Now what’s interesting about that is, actually, if you were to roster correctly, you would not need any more additional staff. So it’s just, it’s not a cost issue, it’s not an expenditure issue, it’s a planning issue. If you manage to plan correctly, you would meet the requirements every single day, but you wouldn’t incur any cut costs in overtime or agency staff and that improves the productivity of the organisation. So in many organisations that we’ve done this exercise with, the difference can be measured by up to 10% improvement in productivity just by this alignment, and to be clear, productivity ultimately is measured in pounds and pence. In one organisation, for instance, we were able to save that organisation £143,000 per year with an area of just 79 staff. So this is not simply a process that you would apply or a system that you would apply to if you’re an organisation that’s got 5,000, 10,000 staff. The savings are there, the improvements in productivity can be achieved with much smaller staffing groups than that. If we move on to the next slide and talk about some of the solutions that accelerate improvements in productivity, the first one is about real-time data capture. So who’s actually at work, what tasks are they doing, how long did it take those tasks to be achieved. So gaining that level of insight is what I call ground vision, but for the first time, you’re able to capture and analyse what is actually happening within the organisation, which for many organisations is a bit of an eye-opener in itself. Obviously, with time and attendance, the ability to be able to automate time to payroll and eliminate all the manual processes, the errors is a valuable saving in itself and I think up to about 5% saving per year by having a time and attendance system. So that’s already very, very valuable, but it’s also, by calculating that time in terms of overtime, lateness, absence, etc., you are actually able to cost the amount of time you as an organisation or you as a manager are actually spending. So the interesting thing that often gets forgotten is that if in an organisation you want to buy a laptop, you know, you might have various manual processes which, again, should be eliminated and approvals to actually go and purchase that laptop, but very often, in terms of where you deploy your staff’s time and when you deploy that staff’s time is not regarded as a cost. It doesn’t go through that process and so it becomes inefficient because no one is actually looking at it in that detail, but actually, where you deploy your staff, for how long you deploy your staff is as much a cost to the organisation as if you go out and get something, a physical tool or a resource. What I mentioned before about ensuring that your staff are rostered to be at work when there actually is business demand is critical in achieving improved productivity. So you’re capturing what’s going on within the organisation. With advance rostering you can actually ensure that people are turn up when there is work to be done and you eliminate all unproductive or what’s called dead time from the organisation. The great thing about the technology and having an integrated system like this is that you can actually have a feedback loop. So you provide a plan, you implement the plan but then actually you’re recording what actually happened against that plan, and this is what I mean by continuous improvement. You have a feedback loop where you can then improve constantly and continuously your planning to ensure that you have the highest levels of productivity within the organisation. So it creates, in effect, a virtuous circle of improvement driven by technology, but obviously with the right focus from management to achieve that. So that’s three of the solutions. There are other solutions, of course, and technology brings great opportunities as well for productivity, but these three tools really, really drive the improvement in productivity of your staff which is very, very key for most organisations. Cathryn: Just out of interest, we’re interested to find out in our final poll which of the following systems does your organisation use. So are you using any rostering systems, time and attendance systems, perhaps both type of systems together or neither type of systems? Okay, just check the option that applies to you there. And interesting that the results are showing about a third of you each use, a third of you use time and attendance systems and a third of you roughly are not using either type of system so perhaps that’s something you might want to consider in your quest for continued productivity. And we’re just onto the closing stages of the presentation now. Nick: So I really want to close off, obviously, the statement by Peter Drucker is, becomes a bit of a cliche. Unfortunately, the amount that it’s used as a cliche but not actually acted upon is still quite considerable, but in effect, “You can’t manage what you can’t measure,” and if you cannot measure it, you can’t improve it. So I’d go a step further but saying that you need to have continuous measurement and continuous improvement and those two things need to go together. The key here is you don’t stop improving, you don’t stop measuring because if you’re not moving forward, you are lagging behind and I think one of the key messages from the UK productivity puzzle and the “lost decade” is that we’re lagging behind. Were not constantly trying to improve and that often is because we’re not looking at the underlying issues that affect productivity. Cathryn: Okay, thanks, Nick. Is that all from you? Nick: That is indeed, yes. Cathryn: Okay, fantastic. Thank you so much for sharing your expertise and telling us all about productivity. We’re now just gonna move into our Q&A portion of the presentation. We have about 10 minutes or so just to answer some of your questions so if you do have any questions about the content that you’ve seen so far or about time and attendance and rostering systems, just ping them in the box and we’ll do our best to answer as many as possible. And I’ve got some questions for you, Nick, myself. So just to kick off, are there any quick wins to improving organisational productivity? Nick: Yes, and I think by measuring what’s actually going on, very often, the quick wins are, I can’t tell you what the quick wins are other than by having a very, very quick way of understanding what’s going on in the organisation. As I said before, often, the solutions are quite simple, it’s identifying the problem which organisations struggle with because they don’t have the data. So they’re always discussing, arguing, debating where the issue might be but they don’t actually have the real-time data to actually confirm any of their suspicions and therefore they can’t act on them. Cathryn: Yeah, that makes a lot of sense. So, yeah, definitely about the measurement first and one thing that you discussed was that productivity can vary based on different departments or different teams or different divisions of an organisation and how can we approach assessing productivity? Is it best to focus on a single department, best to go quite small and maybe pilot things or is taking an organisation-wide, more holistic view more beneficial in the long run? Nick: I think it depends really on the organisation. If they’ve got a very good grasp of where the issues are, then you would start the project as an enterprise project. Sometimes you might want to, if they’re not clear, they’re in this debating mode about where the issues might lie, then implementing a system just for that particular area, capturing the information, demonstrating where the problem is and also where the savings can be, that often can be a very powerful business case to say, “Right, we’re now gonna [inaudible 00:31:14] all that out.” So it depends really on the organisation. If they’ve got a very clear objective in mind, then you go for enterprise. If they think they want to, they’re not quite sure where the problems may be, then implementing on a particular organisation or a particular staffing group or a department and then rolling it out from there can also be a very good technique as well. Cathryn: Okay, and leading on from that, is it HR’s job to be driving these kind of productivity initiatives forwards or is it something that maybe individual departments or line managers should be taking responsibility for identifying, solving on their own if they’ve got a real challenge on their hands? Nick: My view is that if you are going to focus strongly on productivity then the culture of the organisation should be that every manager in every department including HR is focused on continuous improvement and productivity. What I said earlier before was that different skill sets, different roles, different staffing groups and departments have different perspectives and often together by having these multidisciplinary meetings, you can much faster get to understand what the issue is and also providing a solution. So I don’t think it should be left to one manager, one department to bear the burden of productivity because across the board in different areas, in different departments, there will be different issues around productivities and the underlying issues in one department may be very, very different from those in another department. And so by bringing them, by taking it as a very specific view but also bringing in other departments because often, they also have a view about why productivity is low. And so I think it needs to be done across the board, collaboratively with everyone taking ownership for it. Cathryn: Yeah, I think collaboration’s a really key point there because there are so many challenges that a department or a team might face that aren’t solely their responsibility or solely within their control so you mentioned that at HFX, your developers are 10% more productive after getting new laptops. In some companies, that might require, you know, finance just to sign off a budget and it might require IT or procurement to get the equipment and set it up but it’s actually the development team that benefits in the end result, so everybody needs to be pulling in the same direction, really. Nick: So, absolutely and I think it’s key in this is that many of these improvements require some level of investment and if you’ve got the bind from the finance department that they understand that the actual gains can be incredibly significant compared to the outlay and I think if there is that approach that we will invest to get a return, then that encourages people to bring up proposals and look at how they can improve it. Cathryn: Yeah, it all goes back to that thing that HR people talk about so often which is about making a business case for initiative and measuring the result of it and it all comes out of being quite scientific as you said and making choices and recommendations that are based on hard evidence that you know are going to work. And so coming on from that, if somebody was, had thought that a time and attendance system might be one of those solutions that they need to invest in that will have a good payoff for them productivity-wise, how long would it typically take to get a system up and running? Nick: So with our system, we’ve reduced implementation time, again, for our own productivity initiatives by 80%. So often we can have, if the organisation is ready, we can implement within two to three months, so we have a very, very quick implementation process to get the customer up and live and start returning their investment and we have had, typically, we will say with an organisation, they’ll get a return on that investment within 12 months. 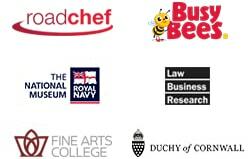 We have worked with organisations that literally have got return on investment within two to three weeks. Cathryn: Extremely impressive, that’s fantastic. And what would you expect as, sort of, an average annual savings a company could expect by using software such as HFX’s? Nick: So what we would say, generally speaking, with the time and attendance, we would expect an organisation to achieve 5% saving on their staffing costs every year, obviously, that, we tend to be quite conservative on that. Where you have the rostering system as well, we’re looking at between 5% and 10% additional savings per year as well. So there are significant savings and that depends on how well the organisation is in control of their costs and people at that particular time. So we have worked with organisations where, again, they weren’t aware about the depth of issues that were in the hidden activities, hidden cultures, hidden practices and errors that were systemic within the organisation that meant that the savings were very, very significant, way beyond the 15%. Cathryn: Great. Well, that sounds like, yeah, a really strong business case that could be put together for investing in that kind of technology, which is brilliant. So thank you, everybody, for attending today. We’ve run out of time, unfortunately. So thank you for your attention and for joining us. Thank you, Nick, from HFX for sharing your expertise with us. We hope to see you at another CIPHR webinar again soon. If you’d like more information about CIPHR or HFX, just click the option that you’ll see when this broadcast ends. Thanks again and I hope you have a productive day. Bye. Cathryn Newbery from CIPHR and Nick Whiteley from hfx discuss the UK’s productivity ‘puzzle’, five questions about your staff you need to be able to answer in order to identify productivity problems and solutions, and how to measure the effectiveness of productivity interventions.